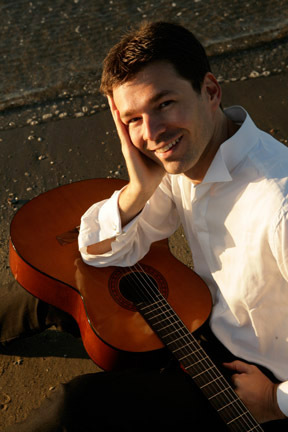 First Prize winner of the 2009 Guitar Foundation of America's International Concert Artist Competition, the Koblenz International Guitar Competition “Hubert Kappel” (Germany), and the Jose Tomás Competition (Spain). 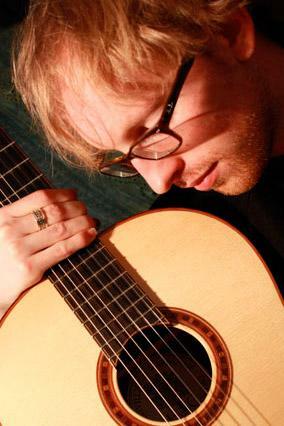 One of the leading guitarists of Italy, winner of 12 National and International Competitions, including Città di Ravenna, “B. Terzi” in Bergamo, “Rovere d’oro” in Imperia, the “Subinates prize” in Switzerland, and the XV edition of the A.R.A.M. selection of Rome. 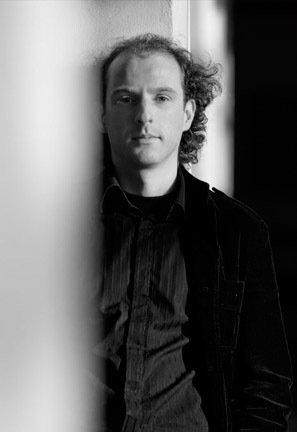 First Prize winner of the 2009 Coria International Competition, Andres Segovia (Spain), Concurso Internacional José Tomás (Spain), Enschede (Netherlands), Mercatalli (Italy), and 16 other international competitions. 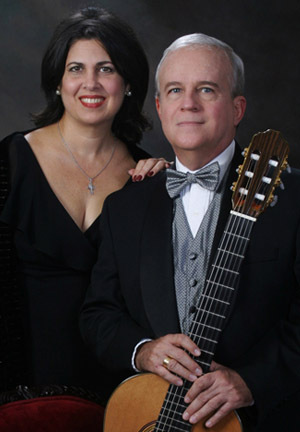 Concert postponed due to illness. An announcement will be made when the concert is rescheduled. 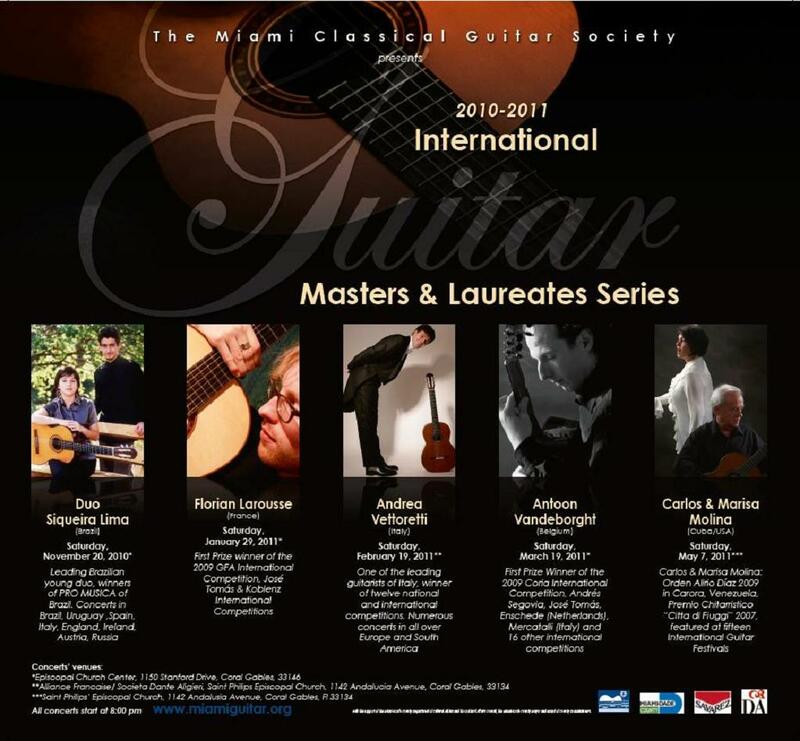 Carlos Molina: Awarded Orden Alirio Diaz 2009 in Caracas, Venezuela; Lifetime Premio Chitaristico Citta de Fuiggi 2007, Italy; featured at 55 international guitar festivals. 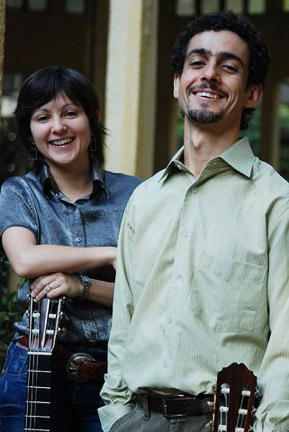 Carlos and Marisa Molina Duo has been featured at 15 international guitar festivals.